NEW! New! Summertime snackin'! 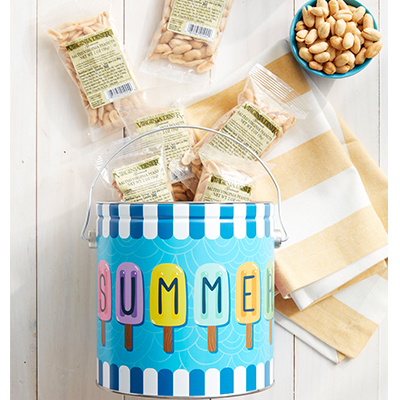 Whether you're headed to the beach, pool, mountains, or anywhere between, this cheerful reusable gift tin is loaded with Virginia Peanuts to keep you energized for all your adventures. Comes with (18) 2 oz. 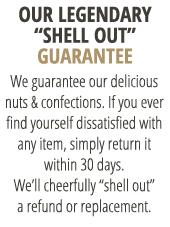 bags of Salted Virginia Peanuts.